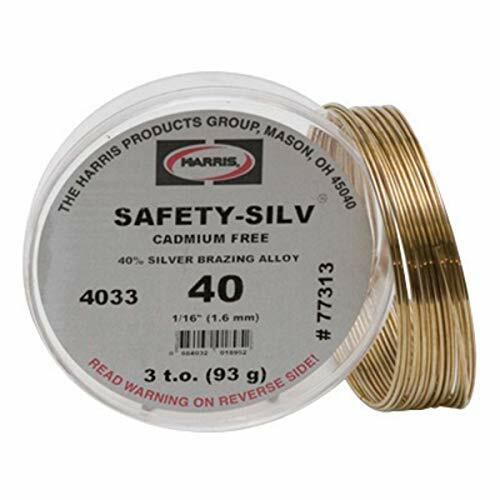 Harris Safety-Silv 40 High Silver Solder measuring 1/16" comes in 1 troy oz pack and includes ductile, free flowing alloy offers economy, good penetration into tight connections and medium temperature. If you have any questions about this product by Harris Welco, contact us by completing and submitting the form below. If you are looking for a specif part number, please include it with your message.